Hi hi, everyone. Lately I have been pretty busy even though I have no more design team commitments. So I'm sorry that I have not been active much in blogging. Today I want to share another wedding layout. I made this layout for a local interest group challenge. 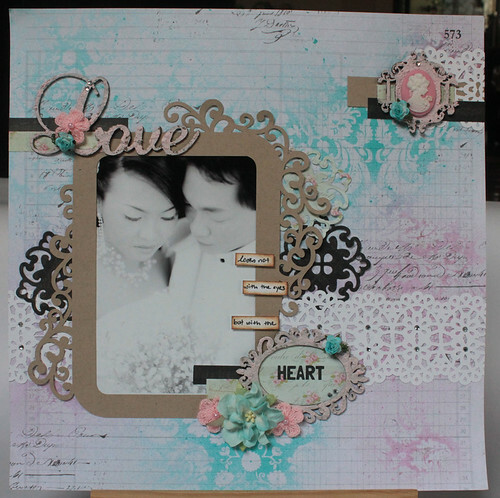 The challenge is to scraplift from a layout provided. Can be by colours or sketch layout etc. I scraplifted the sketch layout design. I wanted to create a simpler look with little bit of layering. I sprayed mists on Pink Paislee Mistables papers. Cut the kraft frame with Silhouette Cameo, punched the white lacey strip and diecut the doilies with Spellbinders die. 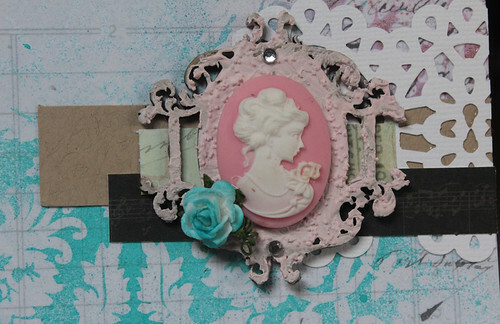 I also used Dusty Attic chipboards and Want2Scrap chipboard. I love this particular photo. Me and my hubby looking down at the baby's breath flowers!! And I love the quote, "Love looks not with the eyes but with the heart!". Its such a perfect quote for this photo!!! 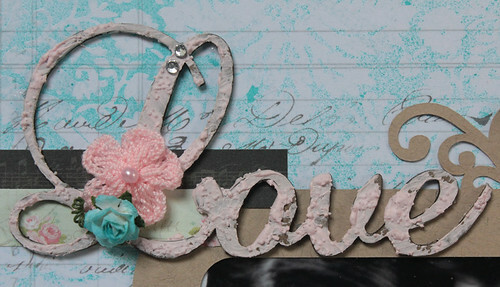 For the chipboards, I painted with a mixture of gesso, pink acrylic paint and glass bead gel. Recent months, I started to join back the local ATC Swap group!! 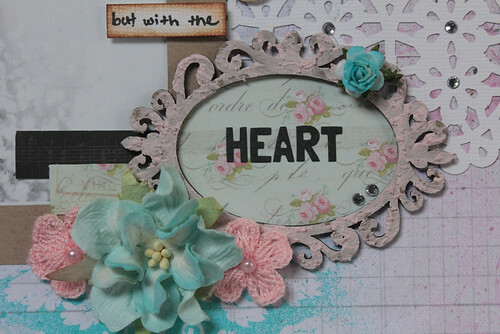 So I will be sharing about the ATCs that I have made so far. Do stay tune. And do join in my 5th Blog Candy here. Thank you for visiting!! See you soon! !